Berlin homeowners could see an annual increase of $12 for the regional high school taxes. At its latest meeting, the Eastern Regional Board of Education approved its tentative 2018–2019 budget, which will be submitted to the executive county superintendent of schools for approval. The tentative budget stands at $40,599,494, which includes $39,170,519 of general funds, $510,400 of special revenue funds and $918,757 of debt service funds. The local tax levy is $25,471,442. Last year, the total budget was $38,151,704. The annual tax increase for the average assessed home in Berlin is $12. Gibbsboro homes will receive a decrease of $49, and Voorhees homes will see an increase of $35. A public hearing regarding the budget is scheduled for April 25 at 7 p.m. The tax levy increase that is included in the budget has a 2 percent increase over the prior year. There were no uses of any tax waivers or bank caps. The district is receiving $9,446,308 in state aid. This is an increase in state aid of $153,000 since last year. The district also received a notice it has to pay the state $106,000 for state facility students. 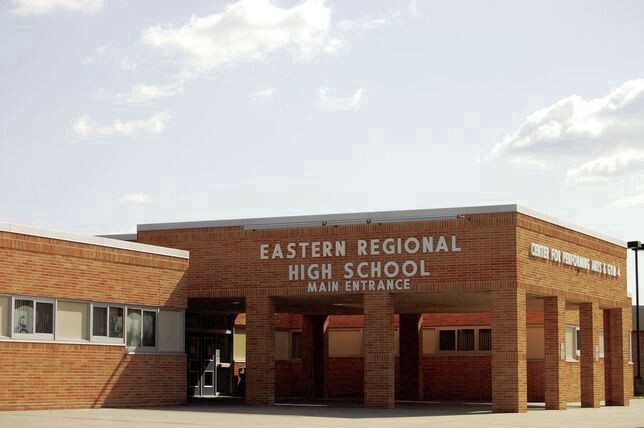 Eastern Regional used some of the $153,000 in state aid for those funds. A portion of state aid was also used for increases in fees for school resources officers, which the district will pay to the Voorhees Township Police Department. The budget also encompasses the costs of capital outlay projects, which were also passed through resolutions at the meeting. Next year’s capital projects, include the installation of a new HVAC rooftop unit, network infrastructure upgrades and a roof-mounted photovoltaic system. The photovoltaic system, or solar panels, will cost $1,318,860. The “break even” is 8.4 years, according to said Diana Schiraldi, business administrator and board secretary. The district has hired Cambria Solar Construction, LLC. for the project. The company proved to be the lowest possible bidder when analyzed on a 20-year process, according the agenda. The project has a 20-year positive net cash flow of $2.5 million through electricity savings and sales of renewable energy credits that can be sold on the market. • Students and parents voiced concerns about Eastern Regional’s school security management in the event of an active shooting or similar emergency. Students say teachers told them, while working on the other side of the building, they could not hear gunshots at the active shooting drill conducted for the staff by the VTPD. “How are (students and staff) going to be notified that there is an active shooter in the building?” parent Trina Scott asked. Principal Robert Tull said such announcements would be made over the PA system. He said respective procedures were gone over with the students in an assembly a couple of weeks ago. Tull also encouraged to students to “say something” if they hear or see something suspicious. “I feel like students are feeling like they’ve said something in the past and staff has not been responsive,” Scott said. She asked what would be the follow-up regarding this kind of report. Superintendent Harold Melleby Jr. said police would be immediately notified of dangerous threats. Melleby also noted personnel from the state’s Office of School Preparedness and Emergency Planning recently visited Eastern to evaluate the district’s security measures. Both Melleby and Tull advised the concerned students that, in the event of a shooting, if they can’t get into a classroom, they must find the nearest available shelters, such as bathrooms, offices or closets. But, students say these rooms are often locked. Scott said the school needs to adopt a clearer security plan. • Eastern Regional is adopting the Blackboard Learn software, which will improve the dissemination of mass information, including robo calls, emails and text messages. The program allows information to be delivered through all three mediums using one comprehensive source. Blackboard will also enhance the district’s website, making it more user-friendly and interactive. • Craig Speechley of Gibbsboro was sworn into the board of education. • There were two HIB investigations since the last BOE meeting. Neither were confirmed. • The Voorhees Township Police Department will now have remote access to Eastern’s security cameras through the Addendum 3 Live Streaming Video software. • Senior Rachel Lynch was honored as Scholar of the Month. • The Eastern Robotics club presented its latest creation — a bot inspired by a Mars rover. The team recently competed at an international robotics match.